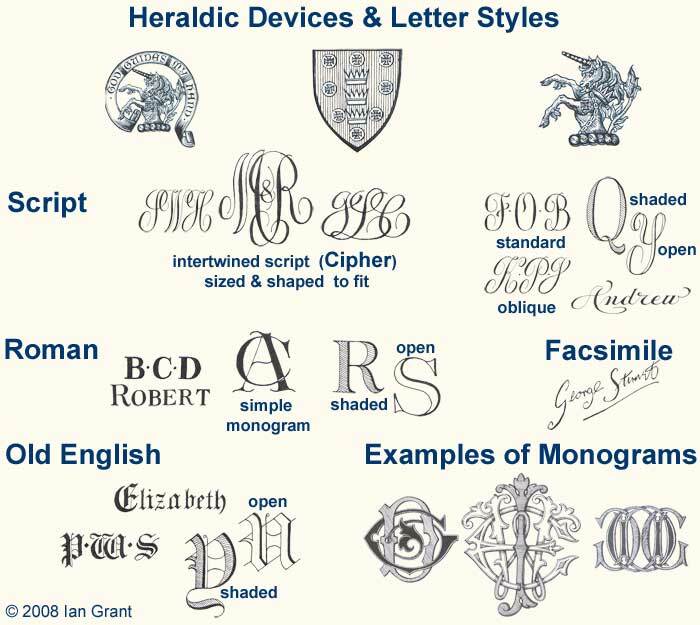 We will engrave your shield, crest or other motif designed or suggested by you on any of our cufflinks. For heraldic work we should, ideally, have the artwork prepared for your grant of arms, but we may be able to work from the blazon. The illustration on the right shows the forms in which you crest or shield can be engraved. This image will enlarge. For other motifs we will need, at the very least, a sketch of your ideas.